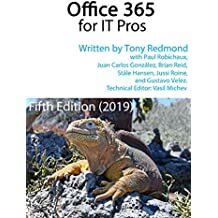 The third edition of “Office 365 for Exchange Professionals” has entered an important phase where we have released the text of the book to fellow MVPs and to Microsoft subject matter experts for their review and comment. A good bunch of MVPs who specialize in Exchange, Office 365, SharePoint, and Directory Services are busily combing our text to detect any errors, inconsistencies, or areas that can be improved. This process will last through all of April and allow us to make the book available towards the end of May. Why such a delay until release? Well, apart from having to process all the comments that we know we will receive, we also know that some new functionality will appear inside Office 365 between now and then and we’d like to include it in this version. In other words, we’ll probably be patching content in right up to the time when we publish. Despite the title, the content now reflects a lot of non-Exchange topics because Office 365 is much more than any single application or workload. We estimate that the final text will span some 350,000 words and include over 600 examples of how to use PowerShell to manage Exchange, Azure Active Directory, SharePoint Online, and OneDrive for Business. Of course, completing the third edition is only the start of the process. Our aim is to keep content updated to match what you see inside Office 365, so we’ll be issuing updates on a regular basis from June onward. See this post for more information about how we provide updates for versions of “Office 365 for Exchange Professionals”. The second edition (for EPUB and PDF) and Amazon Kindle will remain on sale until we release the third edition. However, we will follow our usual approach for the third edition and those who have bought copies of the first or second edition through the ExchangeServerPro.com site will be able to upgrade to the third edition after its release. Details of how to take advantage of this offer will be emailed to eligible site members when books are available. Hopefully the plan comes together, the comments will flow in, new functionality will be documented, and we’ll have the third edition at the end of May. Stay tuned here for more information as we have it. This entry was posted in Cloud, Email, Exchange, Office 365 and tagged Office 365 book, Office 365 eBook, Office 365 for Exchange Professionals. Bookmark the permalink. Tony can you explain the rationale why there is no DirSync or Azure Chapter? Or is this covered in the “Identities and Authentication” and “Planner” chapter? Azure Active Directory and DirSync is covered in depth in chapter 3.
great – I look forward to reading it!